What Makes cosyfeet so special? There’s wide fitting and then there’s Cosyfeet! Designed to fit and flatter swollen feet, our footwear is much roomier than the wide-fitting footwear you’ll find on the high street. We believe that swollen feet should have the most comfortable, stylish footwear possible. That’s why we combine the latest trends with premium materials and expert shoemaking. Thanks to innovations such as our ‘Hidden Depth’ design, our footwear fits swollen feet with ease but still looks stylish and streamlined. It’s also designed to minimise the risk of seams rubbing or causing discomfort which is important if you have sensitive or vulnerable feet. Over 11,000 healthcare professionals recommend Cosyfeet. We are also recognised by the Healthy Footwear Guide, a collaboration between UK footwear brands and foot health professionals. We’re a forward-looking company, keen to adopt the latest technologies and trends. 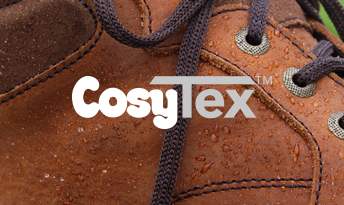 For customers who enjoy the great outdoors, we’ve introduced a range of CosyTex™ footwear which is windproof, breathable and 100% waterproof. Recently, we’ve developed footwear with a shock-absorbing Cushion Active™ system which delivers up to 25% less impact shock to the lower leg than other leading brand trainers. 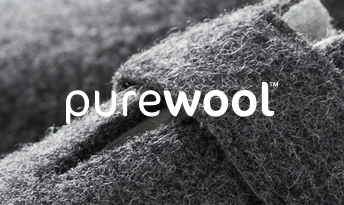 We’ve also embraced the current trend for wool, along with the benefits it brings, with our range of Purewool™ shoes and slippers. 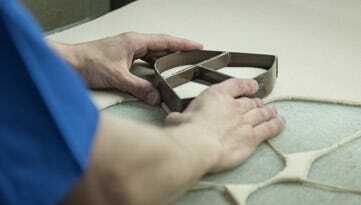 Our footwear is made by experienced craftspeople, who mix traditional skills with the latest technology. We use the highest quality leathers and fabrics along with advanced foot comfort technology to give you the best footwear possible. Rui Pereira, Cosyfeet shoe manufacturer, gives us an insight into our dedicated workshop in Portugal. As well as making shoes and slippers in the UK, we have a dedicated workshop in Portugal, a country that is renowned for the quality of its leather footwear. 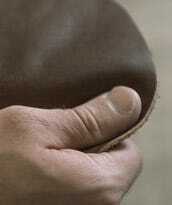 Is cosyfeet right for me? If you have swollen feet and can’t find high street shoes to fit, you’ve come to the right place. Our footwear is specially designed to fit swollen feet. It can also fit bunions, problem toes and bandaging. 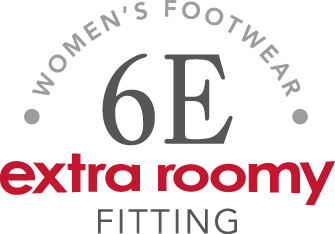 All our footwear has the same extra roomy fitting (6E for women and 3H for men). 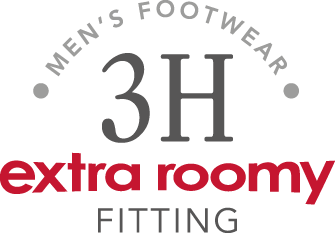 But don’t worry if you don’t know your width fitting - most of our styles are very adjustable and can cope with a range of foot shapes and swelling. We don’t recommend measuring your feet as it’s very difficult to get an accurate measurement, especially if your feet are swollen or mis-shapen. Most customers find that if they order the same shoe size they wore before experiencing swelling (e.g. size 6), our footwear is wide and deep enough to provide the extra room they need. If you have very swollen feet, we offer strap extensions on most of our touch-fastening styles. 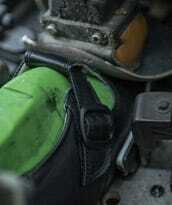 They lengthen the straps, giving you even more room. To put it simply, if you have swollen feet and you can’t find footwear to fit, we can probably help. Please click here to view more product sizing information. VIEW OUR FITTING GUIDES Which style of shoe is right for me? All our footwear is extra roomy and is designed to fit swollen feet. However, some of our styles are more suitable for certain foot conditions than others. For example, some have a deep toe box so they’re good for problem toes. Others maybe be more suitable for bunions or have a removable footbed so you can insert your own orthotic. We list the key features and benefits of each style in our catalogue, However, if you want further information, we recommend looking at the individual product pages on our website where there is an ‘Ask Liz’ section. Liz is our shop manager and she explains the merits of each shoe. If you are chronically sick or disabled, you can claim VAT Relief on Cosyfeet footwear and products showing ‘without VAT’ prices. Made with more material throughout, our extra roomy socks and extra roomy hosiery are designed to fit swollen feet and legs and are easy to get on and off a swollen foot. We also offer a range of diabetic-friendly, seam-free socks which are specially designed for sensitive or vulnerable feet. We have a fantastic team of friendly and experienced staff who are always willing to go the extra mile. We have been awarded the ‘Gold Trusted Service Award’ by Feefo which recognises businesses that deliver exceptional customer service as rated by their customers. The Cosyfeet team are unbeatable, their product was as it said. I received the shoes so quickly. Super service, thank you Cosyfeet. I would always buy from Cosyfeet. Their service is excellent and prompt, on the telephone they are polite and very helpful.